01. 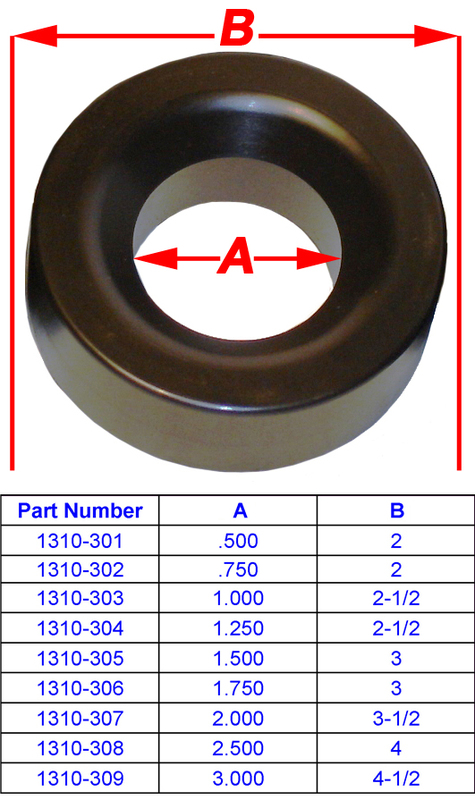 Irvan-Smith IS1-HF-0750 Hole Flare - 3/4"
02. Irvan-Smith IS1-HF-1250 Hole Flare - 1 1/4"
06. Irvan-Smith IS1-HF-0625 Hole Flare - 5/8"
These newly designed Dimple Dies are engineered to Flare or Flange an existing hole in sheet metal for enhanced appearance and strength in panels of up to 0.125” thick mild steel and 4130 chrome moly material. Mittler Brother Dimple Dies are produced with a 45° Flare / Dimple angle. We have them available in individual sizes or various sets.